Walkie-talkies are a useful, economical way for large or small groups of people to stay in touch over short distances. They have been used for communication around the home and during outdoor activities including hiking, skiing, camping, boating and hunting. Other common uses are to coordinate events such as banquets, fairs, and races. Several Federal Communications Commission regulations govern their capabilities and operation. Walkie-talkies operate on up to two frequencies. They are known as Family Radio Service (FRS) and General Mobile Radio Service (GMRS). FRS is a low-power and short-range frequency, functioning at up to one mile at best. GMRS operates at a higher power and has a longer range of five miles or more. However, GMRS requires an FCC license to operate. 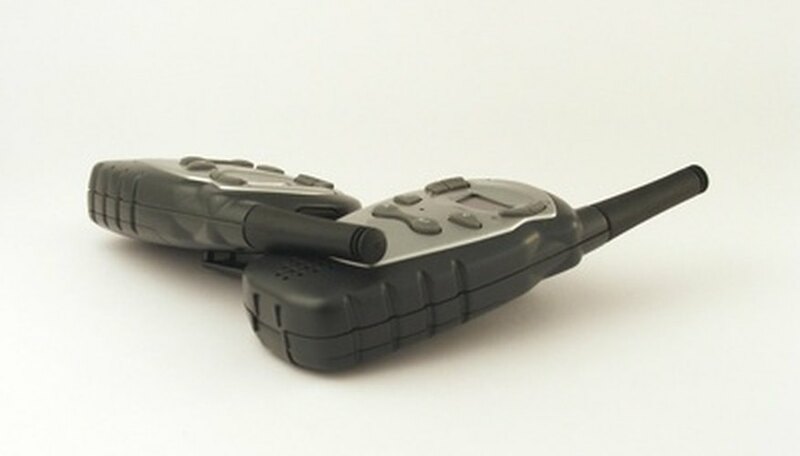 Some walkie-talkies work on only one band, but many are dual-band and operate on both. A GMRS license allows the operator and his family to use the frequency around their home and on outings. You must be 18 years old to apply for the license, which is good for five years. FRS radios have a power limit of 1/2 watt and use an internal antenna. GMRS radios operate at between 1 and 5 watts, the maximum allowed by law. It is illegal to modify a unit to operate at a higher wattage. The FCC rules for FRS and GMRS frequencies apply to the territorial United States. If you use these radios in another country's jurisdiction, you'll be subject to its laws and regulations. Jason Hinkley has been writing since 2004. His work has been published in "The Adirondack Review" and on NewPages.com. Jason writes about technology, personal finance and outdoor recreation. He has a Bachelor of Arts in English from the State University of New York at New Paltz.